Want to just donate? Click here: Donate Now - all donations matched! I started running in February 2006. Two years previously, I made the life changing decision to interrupt a slow crawl towards obesity first started when I worked in marketing. (Ok, maybe the blame does not sit on being in brand management, but the timing matched. Just sayin') In defiance of clear genetic indicators in my family history and with a desire to stay fit throughout the rest of my life, not suffer cardiac problems or adult onset diabetes - all of which I had seen in parents and grandparents - I dropped 20 pounds to a stable weight for my height and age. I've maintained that ever since. However, as professionals in the field of nutrition will instruct their patients, an active, healthy lifestyle requires regular exercise too. Not knowing what to do for cardio, I chose the activity that required the least prep and equipment and preplanning - running. Just don some shorts and a shirt and lace up a pair of shoes. Laboring even downhill felt impossible at the start, but I gradually built up my endurance and mileage. Those of you following me and this blog know that this led to my first marathon in 2007, all 7 continents completed in 2011 (including Antarctica) and finishing a marathon in all 50 states just before I turned 50 years old in 2017. Together, since 2008, we have been raising money once a year for some amazing charities. All told, we've surpassed $150,000. (I actually need to look up the exact number.) Thank you to everyone who has given a dollar or more and for any notes of encouragement you have personally sent my way on this journey. And for those who have told me that they were inspired by my crazy hobby, thank you for sharing your stories and allowing me to influence you in some small way. We are all in this race together. For 2018, I am excited to launch a new fundraiser around a handful of milestones that I will achieve over the next 10 days. This weekend, I will reach 20,000 miles life-to-date. (Update 4/14/18 8 AM - Completed!) This is a crazy amount of running, especially since 25% has happened in the last two years! I've owned a GPS watch since August 2006 (thanks Jim Black for showing me your Garmin! ), and I am fairly confident I have conservatively estimated the 250 or so miles untracked between February and August of that year. Feel free to browse my Strava events and profile. Ping me to follow you on your journeys there too! On Monday, April 16, I will be fortunate to line up with 25,000 other people to tackle the 26.2 mile journey from Hopkinton MA to Boston. I ran this race back in 2009, and I never thought I would qualify for it again. 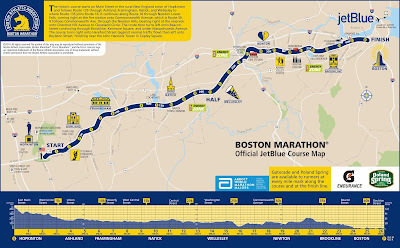 Unlike most races that allow for general sign up or at least a lottery entry, Boston requires proof of a fast time in the proceeding 18 months. For a 50 year on the day of the race, I needed to run under a 3:30 race. In fact, I ran 4 such events between October 2016 and April 2017 including my 2nd fastest race ever in Grand Rapids MI. The timing put me on track to enter the 2018 race, and so off I go to my old college stomping grounds to stomp 42000 or so times from the start to finish. I'll post more on my qualifying race and experience in the next few days. 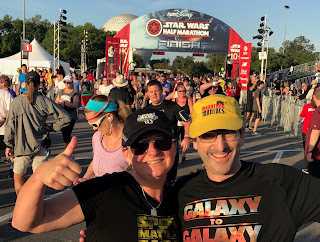 Because a marathon on a Monday is not enough in a week, I will journey later the same week to join my Disney running partner-in-crime, lil sis Jen, and her son, my nephew, Daniel for some hot and humid Florida runs. 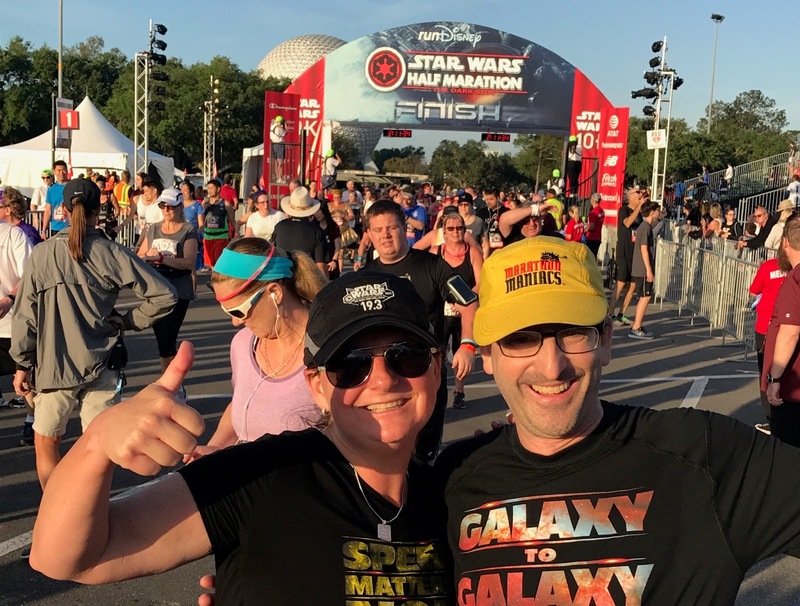 I will try to keep up with Daniel in the 5k; all of us will tackle and the 10k; and then Jen and I will run the half on Sunday. We had a blast last year. Thank you for all your support over 12 years of amazing running.